Do you live in Hampshire? And are interested in becoming a foster carer. Sunbeam Fostering are currently recruiting foster carers in the Hampshire area. Sunbeam provides local support in Hampshire which means you will have a supervising social worker local to you and available to support you if you need them. Also, we have other local support staff who will help you with any support you need while fostering with Sunbeam. •	What is fostering? Fostering is a way of providing a stable family life for children and young people, who are unable to live with their parents at a point in time. •	Do I have to own my own home? No, it doesn’t matter if you own or rent your home, or if you live in a council or housing association accommodation, as long as your rent or mortgage payments are up to date, and it is of a clean standard. The important thing is that you are settled and not likely to leave at short notice and that you can offer a foster child or young person his or her own room. •	Do I need a spare bedroom? You will need a spare bedroom and this must be available at the time of application. Part of the assessment takes into consideration your accommodation and if a spare bedroom is not available the assessment cannot go ahead. •	I’m not married, can I still foster? We are not looking for a specific family set up. Much more important is your commitment to fostering, and your ability to offer a child or young person a safe and secure environment at a difficult time in their lives. •	How long does it take to become a foster carer? We do our best to process all applications as quickly as possible, usually in six months but more often between three to four months. •	What happens after I am approved? Once approved as a Foster Carer with the Sunbeam Fostering Agency, the Placement team will begin their search for a placement for you. Where a potential match with a child is being considered, brief details of your suitability will be provided to the Local Authority by the placement team. You will also be allocated a Supervising Social Worker who will offer you all the support and supervision required. Fostering a child is a way of providing a stable family life for children and young people who are unable to live with their birth parents. There are thousands of children across the UK, who need a foster home and a loving family. 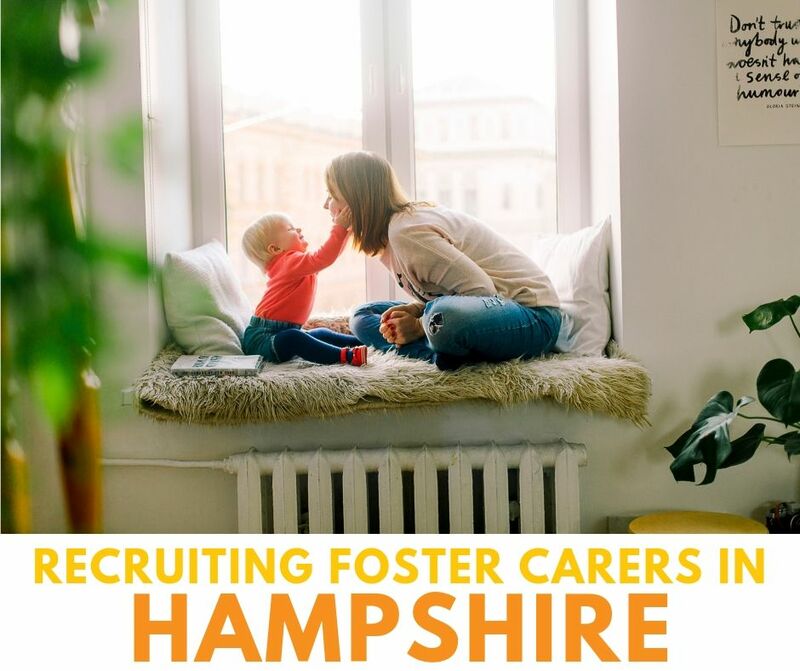 We are currently recruiting foster carers in Hampshire and would like to hear from you if you are able to help, have a spare bedroom, time, commitment and dedication to provide the family environment these children need. If you are interested in fostering or have questions you would like to ask. Please fill out our call back request form, by clicking here and a member from our recruitment team will be in contact. Furthermore, you can also contact us on 02087 990 930 to speak to our team.